As a student in 1989 I started exploring meditation, how the mind worked, and Eastern philosophies. Then when I was travelling from 1996 to 1999, I trained in holistic massage, reflexology, pranic healing and reiki. However my spiritual questing began in earnest in 2001 with my first conscious dance class. Since then I’ve taken part in countless workshops and trainings, satsangs and healings and these have all helped me to grow and develop as a person and practitioner, and this journey continues. Below are some of the highlights. 7 Levels of Soul Mate Tantra Training: Ma Ananda Sarita & Swami Anand Geho: May 2002- September 2004. Level 1& 2 Spiritual Sexual Shamanic Experience & Spiritual Sexual Shamanic Initiation: International School of Temple Arts (ISTA): May 2017 & May 2018. The Grail of Sophia: Foundation in Temple Arts for Women – Healing Transmissions for Women: South West Tantra, May – Sept 2018. Tantric Massage: South West Tantra, Sept 2018. Energy Healing for Tantra Practitioners – Chakra, Trauma & Relationship Healing Transmissions for Men & Women: South West Tantra, Sept 2018. Advanced Gnostic Priestess Healer Certificate Course: South West Tantra, Feb – June 2019 (ongoing). Nearly 20 years of conscious dance practice mainly in 5Rhythms and Open Floor. 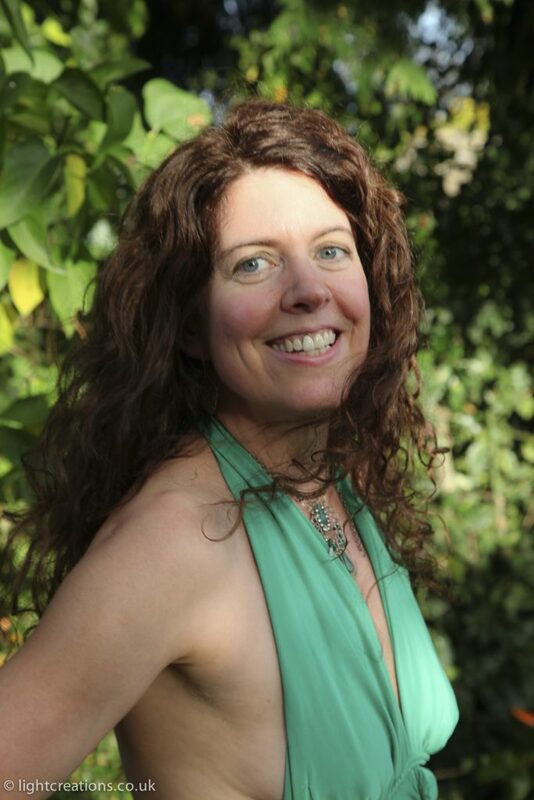 Tantra Massage (including Anatomy & Physiology) from the Sarah Brown at South West Tantra, September 2018. Diploma in Holistic Aromatherapy Massage (including Anatomy & Physiology) from the Nicole Perez at the School of Holistic Aromatherapy, 2000.